"Once the project was completed and the final cost came in, they were right on target with the original bid. I appreciate that they watched the budget throughout and delivered what they said they would." 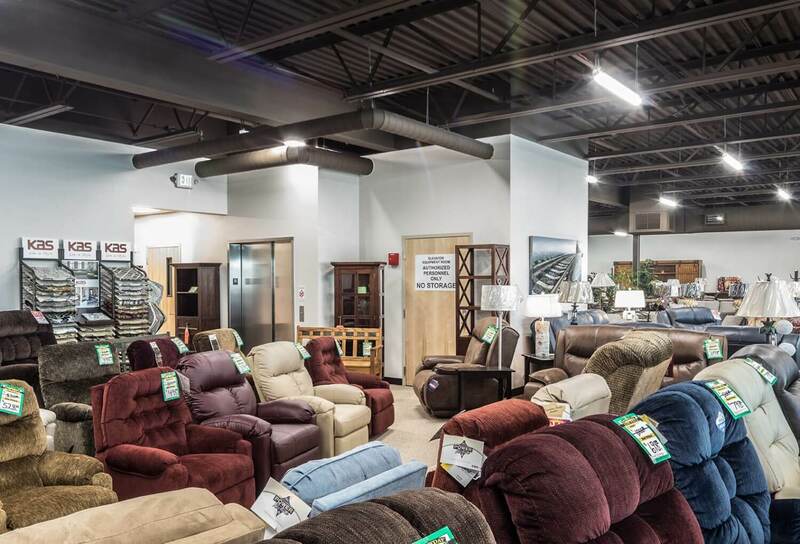 After fire destroyed Hansen’s Furniture in 2016, Chad Fisher Construction began construction of a new two-story 28,052-sq-ft retail building the following year. 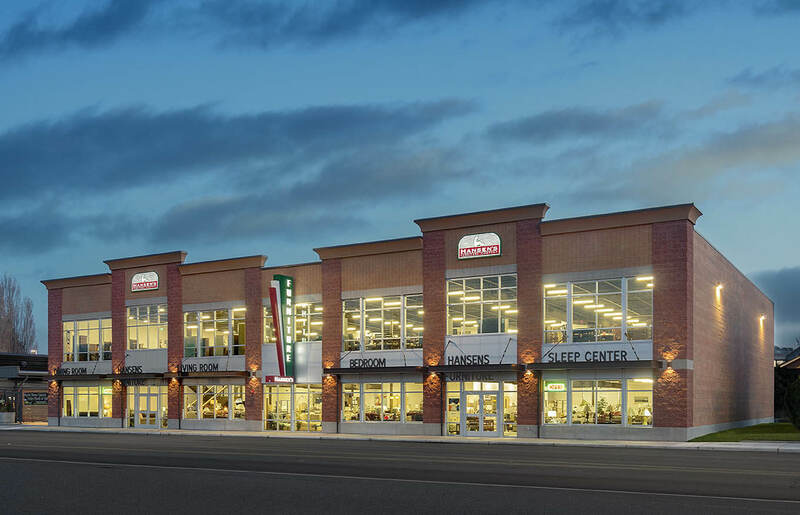 It is a two-story building with 14,026 square feet on each floor. 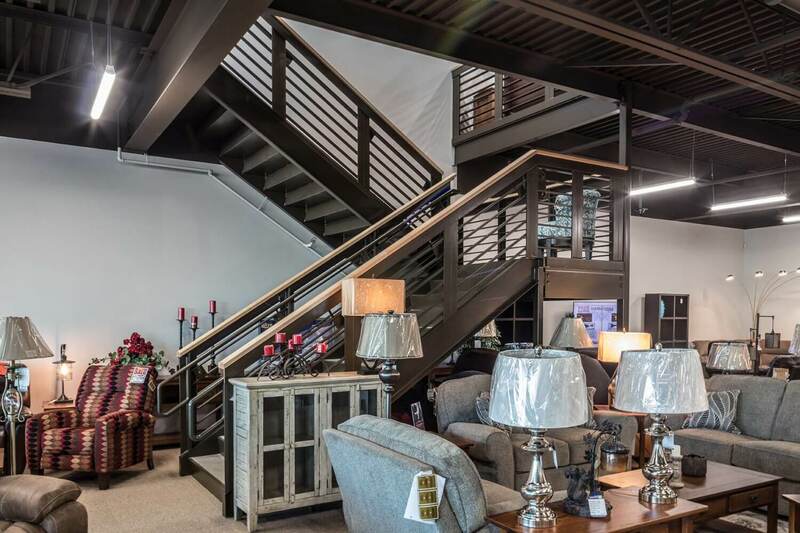 Chad Fisher Construction was awarded the bid on this project after coming in more than 15% under the bid of the contractor originally selected by the owners. 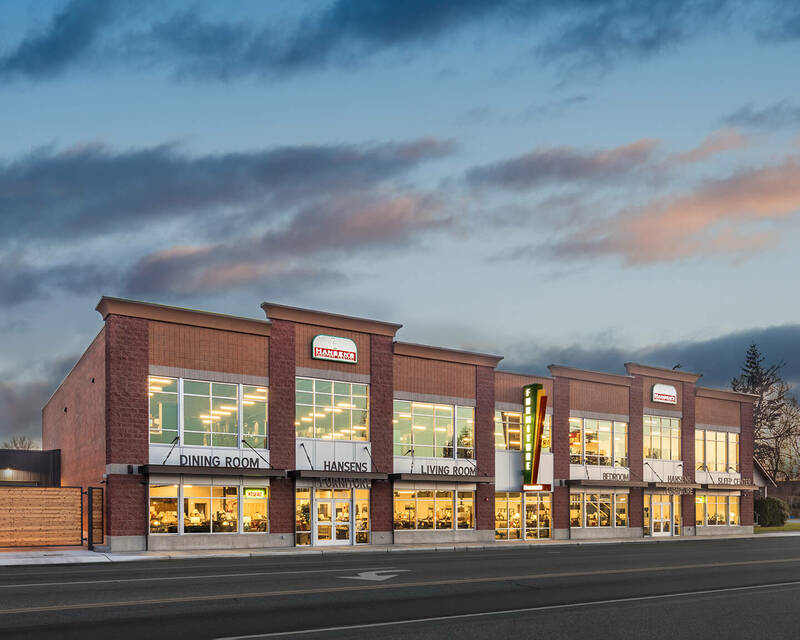 The proposed building covered almost the entire existing site, leaving little to no laydown and staging areas for the construction process, requiring a keen eye toward logistics in managing the project. 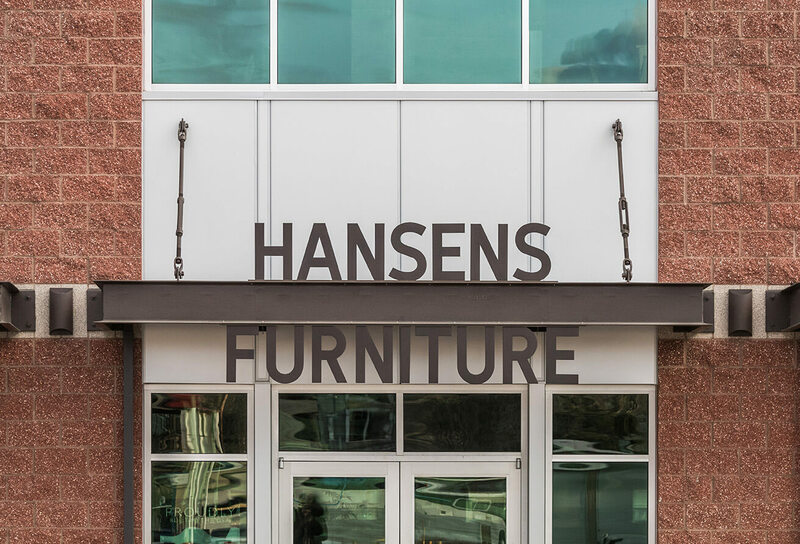 Hansen’s Furniture was constructed simultaneously to the adjacent Craft Stove building that CFC also built. With both buildings CFC took care to ensure pedestrian safety around the sites. We coordinated with the nearby schools to make sure work on or near the sidewalks didn’t take place while children were walking to and from school. The building shell is constructed of concrete masonry exterior walls and structural steel framing over a thickened mat foundation. The second floor consists of a concrete slab over metal decking over open-web steel bar joist-and-girder framing. 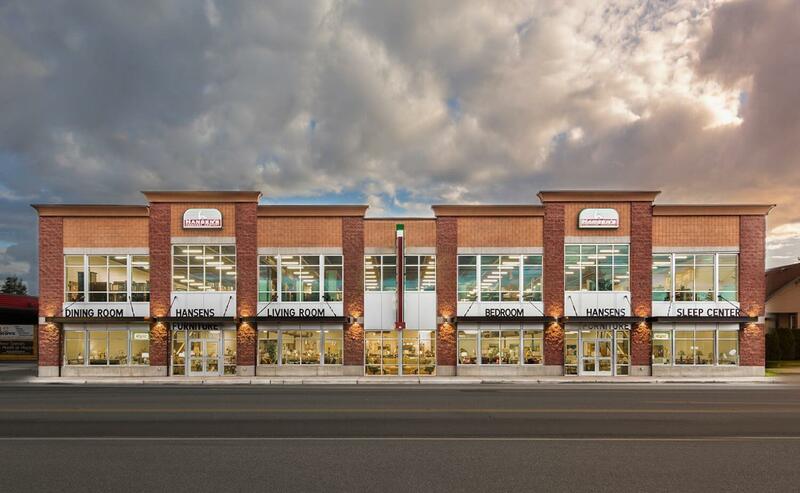 Exterior finishes include smooth and split-face colored architectural concrete masonry blocks with extruded aluminum panel accents and structural steel architectural canopies over the entries. The project was delivered on time and under budget. That's a lot of concrete - 166 truckloads to be exact!